How did midwives deliver women in the past? What was their understanding of anatomy and physiology? How did they cope with unnatural presentations, haemorrhage, miscarriage and stillbirths, constipation? Were lives being prolonged and risks diminished? Midwifery case notes offer a considerable source of evidence, which, when used with care and imagination, help to tackle these questions. Mrs Stone & Dr Smellie demonstrates this in a fascinating way by analysing the work of two well-known midwives. Sarah Stone’s A Complete Practice of Midwifery was published in London in 1737. Mrs Stone had been a midwife in Bridgwater, Taunton and Bristol before moving to London in the late 1730s. Her book collects 43 case notes mainly from her Somerset practice. It is probably unique in providing a female midwife’s perspective on childbirth in provincial England in the eighteenth century. Although often mentioned by medical historians, literary scholars have given it most attention by reading it as a feminist text. But A Complete Practice reproduced in full within this book, is a detailed, albeit selective, account of the problems faced by midwifes, what they could do for their women, and how likely they were to succeed. William Smellie (1697-1763) occupies a pivotal position in the history of midwifery, not only in Britain, but also in the wider international community. He published a textbook in 1751 and two collections of case notes in 1754 and 1764. an analysis of the 278 London cases. Woods and Galley offer a ‘thick description’ of Smellie’s practice, the problems he faced, the people he dealt with, how he combined domiciliary clinical practice with advanced instruction, and the way in which he presented his work to a wider community for their enlightenment. 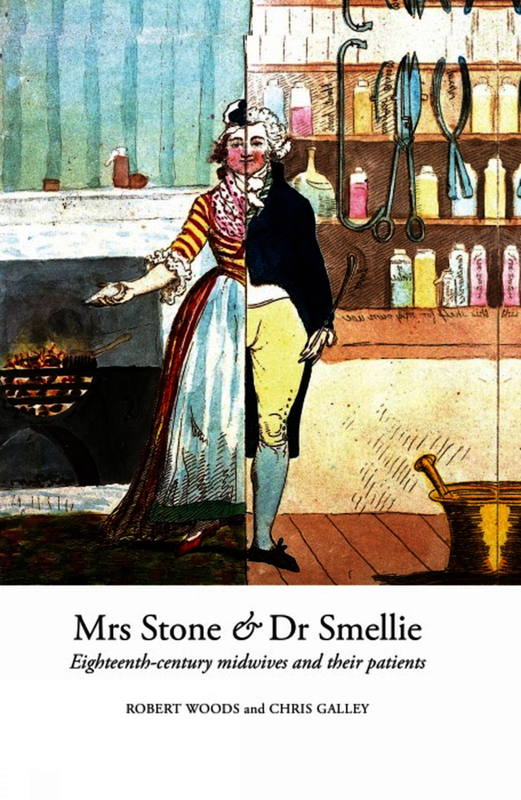 Compulsory reading for those working on the history of medicine and midwifery, demography and social history, Mrs Stone and Dr Smellie is an engaging final study by the late internationally-renowned scholar Professor Robert Woods, FBA. Bob Woods was Professor of Academic History in the Department of Geography, University of Liverpool. He is also a Fellow of the British Academy. Previous publications include 'An Atlas of Victorian Mortality' (Liverpool University Press, 1997) and 'The Demography of Victorian England and Wales' (Cambridge University Press, 2000). Chris Galley studied for a PhD under co-author Robert Woods at the University of Liverpool. He now works as a teacher.